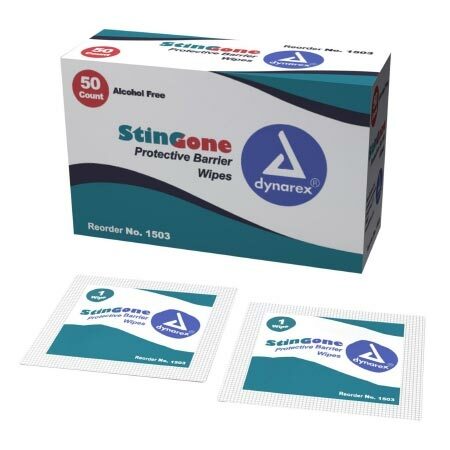 Dynarex StingGone 1503 Protective Skin Barrier Wipes are alcohol free and feature a no-sting formula for pain-free application. The Barrier Wipes are used to protect skin from adhesive stripping, body fluids, and incontinence. StingGone does not have to be removed when changing bandages.